Animals abound in this freshly repackaged and adventure-filled story from bestselling author Sharon Draper! 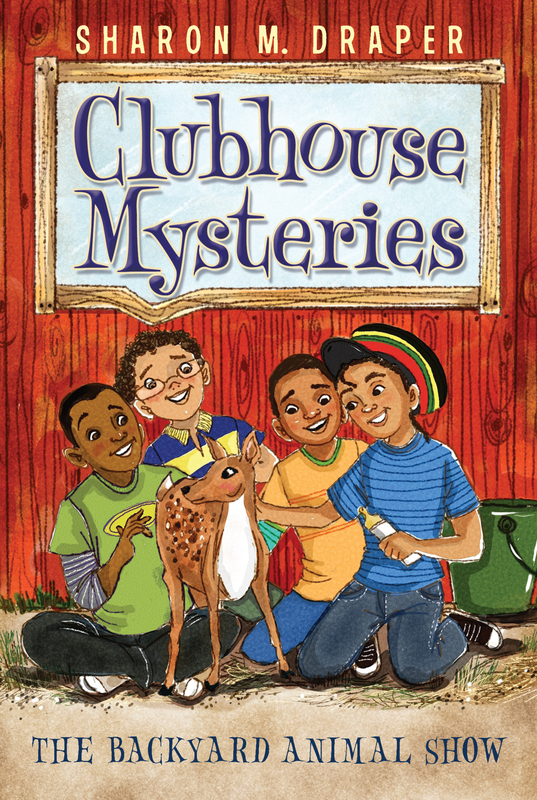 After witnessing a tragic accident in which a doe is killed, the boys in the Clubhouse Mysteries gang are able to rescue her orphaned fawn. But they realize that nearby construction means the destruction of the local animals’ homes, so Ziggy, Rashawn, Jerome, and Rico decide to take up the cause and host a backyard animal show to raise money for the local wildlife rescue center. Dino, the adorable rescued fawn, will be the star attraction. And given that the boys have already tackled caring for a deer, managing their friends’ dogs, cats, and hamsters should be easy....right? ZIGGY AWAKENED TO A BRIGHT SPRING SATURDAY MORNING. The sunshine sparkled through his open bedroom window, and the roaring and groaning sounds of heavy trucks erased any songs a bird might be attempting to sing. Ziggy jumped out of bed, pulled the curtain aside, and looked to see what was making that powerful, compelling noise. “The construction has started!” Ziggy whispered excitedly. “And we’ve got two whole weeks of spring break to watch the builders. I’ve got to tell Rico, Rashawn, and Jerome.” He dressed quickly, ran down the stairs, and gobbled a quick breakfast of honey-covered green beans and a glass of apple-prune juice. Ziggy, never one to eat a traditional meal, believed breakfast, and every other meal as well, should be an adventure. He grabbed a handful of walnuts from a jar, stuffed them into his jeans pocket, and waved good-bye to his mother, who was fixing herself a cup of tea. Ziggy’s mom looked unconvinced, but she waved him on, reminding him to be home in a couple of hours. Just in case she might think of any other warnings to add to the list of things mothers worry about, Ziggy hurried out the door and down the street to his friend Rico’s house. Rico was just coming out of his front door. “What do you mean, mon?” Ziggy asked. “I never thought about it that way, mon,” Ziggy replied thoughtfully. Just then Rashawn and Jerome, the other two members of the Black Dinosaurs Club, joined Ziggy and Rico on the sidewalk. Rashawn was followed by his Siberian husky, a retired police dog named Afrika. Rashawn, the tallest of the four, wore a bright red, thick fleece, button-down sweatshirt with the picture of a basketball player on the front. The Black Dinosaurs was the name of the club Ziggy, Rashawn, Rico, and Jerome had started one summer vacation. They had built a clubhouse in Ziggy’s backyard, and they met on Saturdays during the school year, sometimes just to goof off and eat pizza, and sometimes to try to solve neighborhood mysteries. 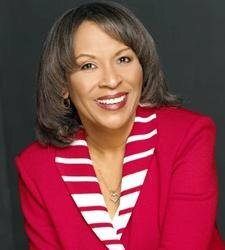 “Bulldozers!” Rashawn cried as they slapped hands. “It will be weeks before they finish this project—maybe months, my dad said,” Rashawn explained. “And we’ve got two whole weeks to watch them work, mon!” Ziggy cried eagerly. The four friends ran down the street to the construction site. The area was barricaded with metal fencing and yellow tape, but that didn’t bother the boys. They found a spot on a nearby hill across the street from the site and settled in to watch as the motors of the heavy earthmoving equipment roared and rumbled as they worked. “Dirt demons?” Rico asked. He chuckled. “No way!” Jerome said. “The crane can pick up the dump truck and fling it across the construction zone. Crane wins, for sure.” He had brought a bag of potato chips and the boys passed the bag around, chewing, observing, and dreaming of truck monsters. “They really do look like beasts, don’t they, mon?” Ziggy said in quiet appreciation of the snorting machines across the street. The huge yellow backhoe looked almost graceful as it scooped dirt from an increasingly large hole. Its long neck dipped, scraped, and pulled huge clods of earth, pebbles and branches dangling from its claw teeth like the remains of a meal. It turned, swiveled, and spit the rocky clumps into the back of the dump trucks, which then ambled away like overburdened elephants. “The man inside the cabin who’s operating the controls looks like one of those toy men we used to play with,” Rashawn observed. “You think they run on diesel fuel?” Rico asked. “Whoa! Look at that! The crane is lifting that tree like it’s a toothpick!” Jerome pointed out with excitement. “Where will they take the tree?” Rico asked. “I don’t know, mon,” Ziggy answered. “Maybe they’ll make a chair out of it. Or a house for someone to live in. Or maybe just a pile of wooden toothpicks.” He sighed. “The animals will find another place to live, Rico,” Jerome said, trying to sound reassuring. The boys turned their attention to the street in front of them as they heard the harsh screeching of truck brakes, followed by a soft thud. The dirty yellow dump truck, full of rocks and debris from the work zone, had been rumbling slowly down the street when it stopped suddenly. The boys watched as the driver jumped out of the cab and ran to the side of the road.